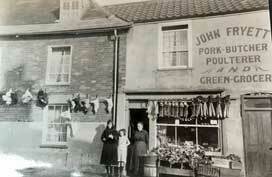 John Fryett- Pork Butcher, Poulterer, Fruiterer and Greengrocer. John Fryett- Pork Butcher, Poulterer, Fruiterer and Greengrocer. (K1924). A year or two later, John and Edith Fryett move their business to No 10a Stradbroke Road. 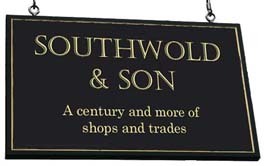 One of their sons, Henry James has decided to open his own butcher's shop at No 5 Trinity Street. 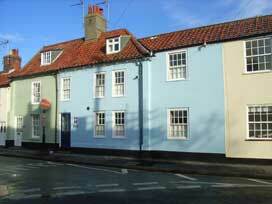 No 32 was the left hand half of the pale blue house. The right hand half was originally part of No 34. Members of the Fryett family outside their shop. John Fryett's wife, Edith, is in the doorway. Photo courtesy of Pauline Williams, great granddaughter of John & Edith.